Background/Info: Hailing from California, Davey Suicide seems to have gained some recognition in their homeland (USA). They did some noticeable live tours, supporting bigger bands and have now released their third full length album. Content: Davey Suicide deals with a typical American industrial sound, which is mixing different genres from rock to metal to industrial. One of the songs even reveals an experiment with a rapper. Notice by the way William Control has been featured on other song as well. 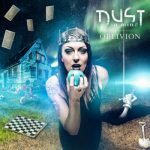 This record will bring you violent guitar solos and powerful electronic arrangements while enraged vocals rapidly appear to be the perfect match with the aggressive sound of Davey Suicide. 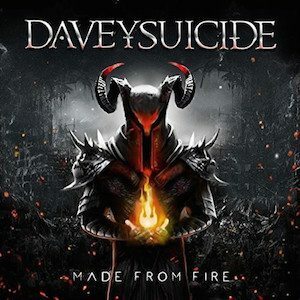 + + + : Davey Suicide has the image, and also a powerful sound, which can’t leave you unmoved. It’s not just a mixture between different genres, but a true sound bomb, which sometimes makes me think to the imaginary fusion between KMFDM and Metallica. The debut songs didn’t really surprise me, but quite progressively the work reveals interesting cuts like the already mentioned ‘rap’-experiment “Too Many Freaks” featuring Twiztid. I also have to mention “No Place Like Hell” revealing empowering electronic parts during the chorus. The second part of this album definitely is a worth to listen and confirming the enthusiasm about this band in their homeland. I also have to say a word about the front cover, which is perfectly symbolizing the title of the album. – – – : The opening part of the album couldn’t totally convince me. I’m not saying that the songs are bad, but they don’t really bring anything new and it feels a bit like I’ve already heard this hundred times before. Best songs: “No Place Like Hell”, “Too Many Freaks feat. TwizTid”, “Devil’s Night”, “Made From Fire”.